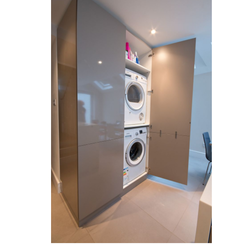 Our vast industry experience and sound technological expertise have enabled us to offer Cupboard Type Dryer. These offer minimum time consumption and human intervention as the washed item is exposed to infra red rays for rapid drying. There is no chance of contamination of washed equipment, as the infra red sources are ceramic coated, thus preventing particle shedding or black particle generation. An additional advantage is the elimination of microbes due to infra red rays. As the stainless steel surface is reflective, infra red drying is more suitable for the same. It is suitable for heating and dehumidifying of raw materials and products in pharmacy, chemical industry, foodstuff industry, light industry, heavy industry, etc. Such as original medicine, raw medicine, powder doses, packing bottles, dye, dehydration vegetables, foodstuff, plastic resin, electric original pieces, heating lacquer, coat-baking, etc. Great part of the hot wind is circulated in the oven with high thermal efficiency and less energy consumption. The oven is equipped by the adjustable air-distribution plates to utilize the forced ventilation to dry the target material evenly. 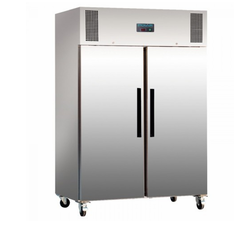 The heating source has a wide selection such as the steam, hot water, electricity and far infrared. 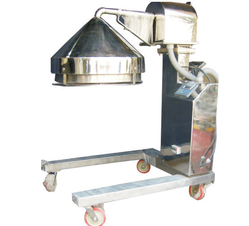 We offer a wide range of Umbrella Type Dryer. Technology which truly covers the aspects of hygiene, minimum time consumption & minimum human intervention, that is Infra red Ray dryers. Drying with infra red ray dryers is a very easy solution. You can expose the washed equipment to Infra red rays for quick drying. Infra red Ray sources are Ceramic coated thus ensures no particle shedding or black particle generation, which may contaminate washed equipment. As a property of Infra red rays, it reduces the microbial counts also. Infra red dryer is more effective for drying Stainless Steel equipment because Stainless Steel surface is a reflective surface. In this case temperature is not the criterion, as it will give heating effect only to the object on which it falls. Infra red rays do not require air as media; thus rays will not increase temperature of the surrounding atmosphere but it will give heating effect to the object on which it falls.